“The artist is distinguished from all other responsible actors in society — the politicians, legislators, educators, and scientists — by the fact that he is his own test tube, his own laboratory, working according to very rigorous rules, however unstated these may be, and cannot allow any consideration to supersede his responsibility to reveal all that he can possibly discover concerning the mystery of the human being. Society must accept some things as real; but he must always know that visible reality hides a deeper one, and that all our action and achievement rest on things unseen. A society must assume that it is stable, but the artist must know, and he must let us know, that there is nothing stable under heaven. One cannot possibly build a school, teach a child, or drive a car without taking some things for granted. As much as we like to think we’re invincible, we’re not. But what if we were to change? What if our bodies were built to survive a low impact crash? What might we look like? The result of these questions is Graham, a reminder of just how vulnerable our bodies really are. 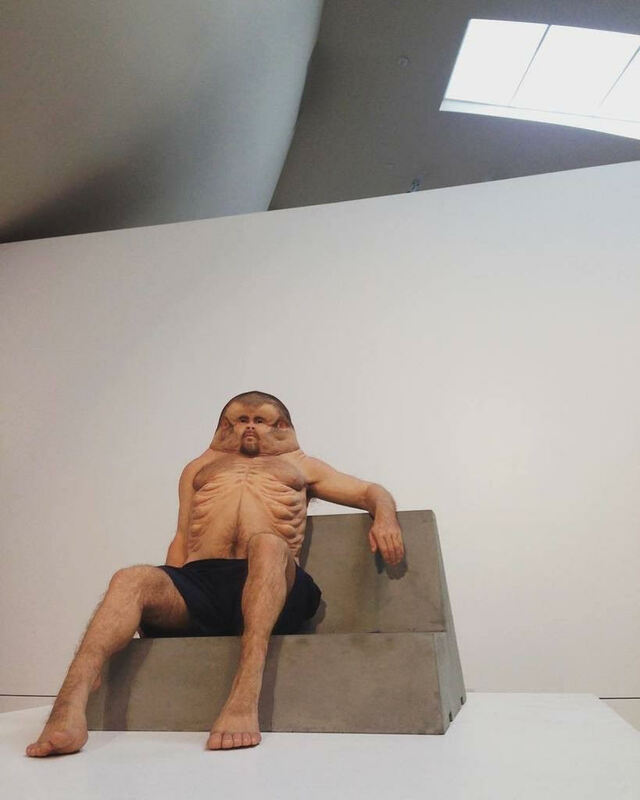 In a shift from its traditional road safety campaigns, the Transport Accident Commission has collaborated with a leading trauma surgeon, a crash investigation expert and a world-renowned Melbourne artist to produce ‘Graham’, an interactive lifelike sculpture demonstrating human vulnerability. Meeting Graham over the weekend was a revelation. As an injury prevention researcher, it is always exciting to be able to view and interact with innovative campaigns that take knowledge translation to the next level. This installation makes use of Google Tango, an immersive augmented reality technology, to allow the viewer to learn more about Graham’s unique features (such as his ribcage – my favourite feature – think airbags rather than armour). The campaign also features a school curriculum, and the ability to Meet Graham online – where one can view the sculpture in 360 degrees, as well as see videos from the surgeon, researcher, and artist. 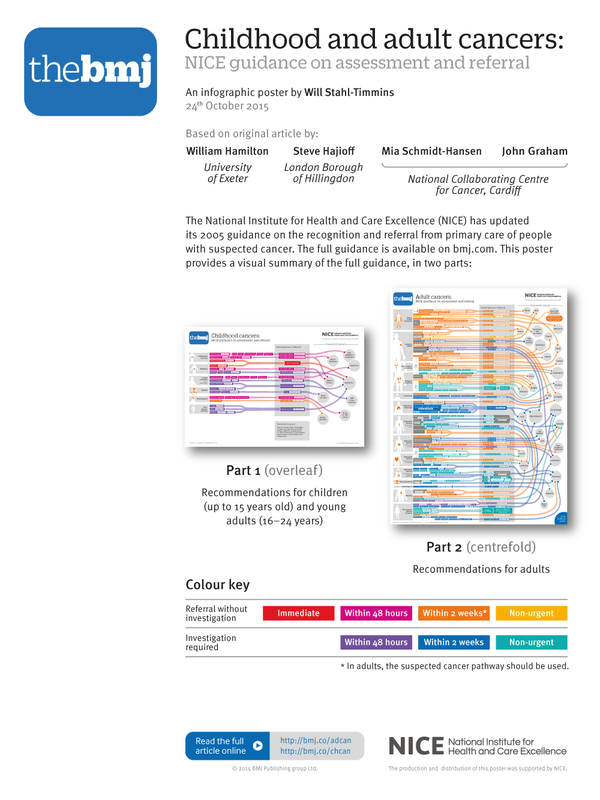 In an innovative move, The BMJ is working with interactive data visualisation designer, Will Stahl-Timmins, to present medical research findings in more visually appealing ways. His infographic development process, as detailed in the blog post Almost Impossible Cancer Spaghetti, is a fascinating study in attention to detail – something that communication and information designers are skilled at. We know that a 17 year gap exists between research and its translation. The field of injury prevention – as an area of public health research – has a long and successful history with educational, media, and social marketing campaigns aimed at reducing this gap. In the quest for more rapid distribution of knowledge, many journals have moved toward open access publishing. Researchers are increasingly working to present research findings in more useful formats, including developing consensus statements, guidelines, and posters, as well as in more engaging formats such as apps, or – in the latest craze – designing their own infographics. A pertinent question must be raised here: when does the pursuit of knowledge translation through formatting information in new and colourful ways tip over into the realm of creating “too much information” – merely adding to the sea of white noise rather than effectively increasing knowing and influencing behaviour change? We know that viral does not necessarily equal effective, and the problem remains that even if people do know about scientific evidence, they fail to use it anyway. In the age of viral marketing, art – to my mind – has a different quality, with new and exciting possibilities for better injury prevention knowledge and knowledge translation. Art provides the visual language for the kind of aesthetic knowing that is currently lacking in the ways in which we approach research and knowledge translation in this field. The arts are situated in the liminal space which moves us towards a different kind of embodied knowledge. Perhaps it is because art speaks to the unseen, in the words of James Baldwin. Is there space in our field for fine art, design, sculpture, craft, poetry, spoken word, performance art, dance, music, photography, film-making? Should there be? What can we learn from other fields of research that do make use of arts-based methods? What can we learn from art itself? This is not to say that researchers should necessarily be creating art and designing visual information themselves. We need to leave art to the artists, and design to the designers**. But perhaps we do need to collaborate with, and commission, artists and designers (and pay them!) to convey our messages in new and exciting ways – as the above two examples show. Further, the possibilities of arts-based research methods hold possibilities for the generation of different kinds of knowledge in our field, thereby enriching our understanding of injury and its prevention. A recent webinar from artist and academic Dr Mandy Archibald – on the intersection between the arts, research and knowledge translation – sheds light on this practice. The examples of Meet Graham and the Almost Impossible Cancer Spaghetti have left me wholly inspired as to the possibilities of the art and science of injury prevention research and knowledge translation. The science of injury prevention is ripe for collaboration with the arts. I am curious as to other similar initiatives that sit at the intersection of injury prevention and art – please do share links in the comments section below.